How does your business regularly communicate with your customers? Is your monthly invoice or statement your only point of contact? Although an invoice or statement can be an effective communication tool, adding a company newsletter to your rotation provides timely, relevant and personal communication with your customers. Whether it is sent out once a week or once a year, a regularly distributed newsletter is your chance to maintain direct communication with the most important part of your business: your customers. As a valuable source of information for your customers, your company newsletter can update them on the latest happenings within your company. You decide on the content and use the space a newsletter provides to include frequently asked questions (FAQs), a letter from the president, store hours and contact information or further explain a service plan. Establishing your brand is powerful. The regular delivery of your newsletter will help your customers develop a strong sense of your brand and they will look forward to receiving your publication. 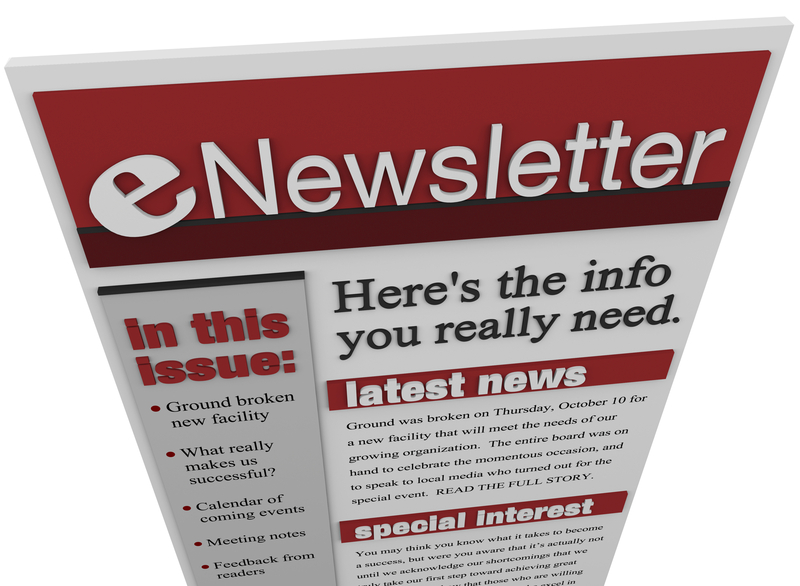 Your newsletter is a simple and effective marketing tool that is perfect for spreading information directly to your audience. Use it to announce a new product, promotional discounts or just send a season’s greetings.